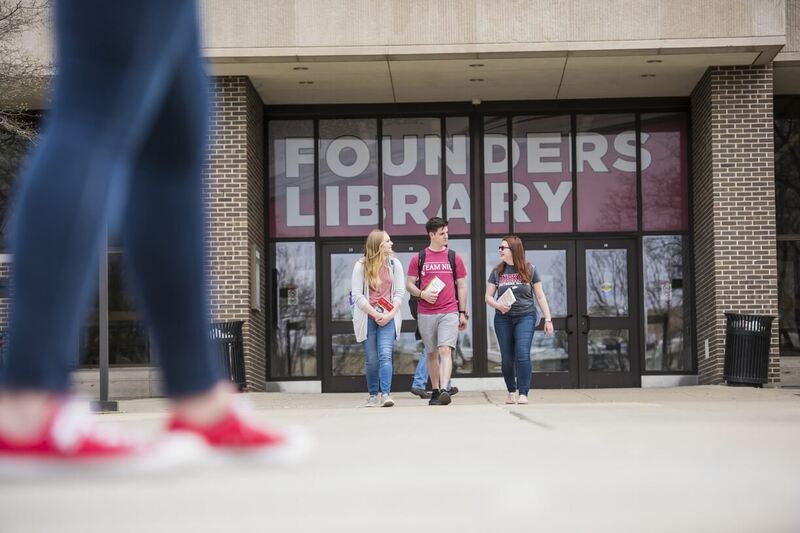 Discover Financial Services and Northern Illinois University are announcing the launch of an exciting program that will allow a select number of students to explore new ideas, help solve real-world business challenges and collaborate with working professionals without ever leaving the university’s campus. The “Discover Campus Innovator Program” will provide tech-savvy students with opportunities to help research and develop new technologies for the company. The program will kick off this coming fall in a newly renovated, 5,900-square-foot area of “71 North,” the university’s collaborative space for innovation centrally located on campus in the bottom level of Founders Memorial Library. Discover and NIU have entered into an agreement, whereby the company will lease and renovate the space. An illustration showing proposed renovations to the space to be occupied by the Discover Campus Innovator Program.